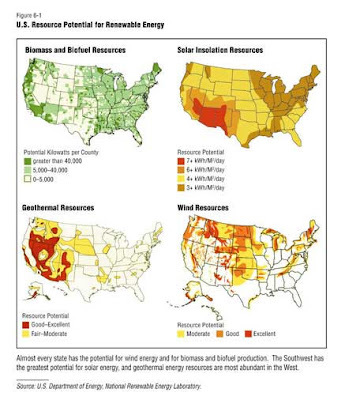 Solar, wind and wave/tide/current energies are like national forests and public parks: They require and deserve incentives, for the common good. Nuclear energy is like a ski resort, popular as long as the attendant risk, liability and environmental harm are paid for by the public, but should the public pay those expenses? 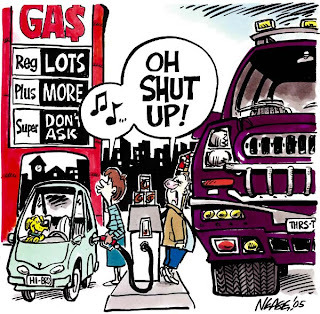 Oil & gas are like amusement parks, popular, costly and, up until recently, affordable. But upkeep is beginning to make tickets too expensive and there is less need for them when the public derives more value from national forests and public parks. Let those who want amusement parks pay the price. The article raises the question of whether the incentives, mandates and subsidies driving investment in alternative energies amount to sound policy or bad economics. The incentives, mandates and subsidies have been, are being and will be used to encourage development of alternative energies. 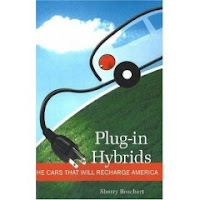 Examples: NYC will convert its city taxis to hybrids by 2012; President Bush called for the US to replace 20% of gasoline with ethanol by 2017. Federal government subsidies from Washington, D.C., renewable portfolio standards (RPS) for 20 states and city-sponsored incentives across the country reflect actions in the EU, Asia and around the world. - It may be a distortion NOT to incentivize renewable energies because they negate the social costs of carbon dioxide generating energy like coal and imported energy like oil & gas. Nevertheless, the incentives have the unintended consequence of driving prices up on other energies. - Daniel Yergin, chairman, Cambridge Energy Research Associates: "There's a huge boom going on in alternative, renewable and new technologies, and it wouldn't be happening without the bouillabaisse of incentives, mandates, subsidies and the related group of ingredients…"
- Rayola Dougher, senior economic analyst, American Petroleum Institute: "We think a reliance on market forces is the best way to satisfy any growing fuel requirements, and that any policies should provide a level playing field for all options…We just don't think at this point that the government should pick winners and losers." - Matt Hartwig, communications director, Renewable Fuels Association: “I equate the government support of ethanol to the government electrifying rural America or helping build the transcontinental railroads…The government helped set it up, and once it was there, the private sector took it over." - John Urbanchuk, director, LECG: "The whole alternative energy sector is still an infant industry and competing against a well-established, well-capitalized petroleum industry…"
The Blair legacy must include his courageous, aggressive leadership in preparing Britain to deal with climate change, even in facing controversial questions like offshore wind and nuclear energy development. Hold removed, grants will be made available for homeowners’ micro-wind turbine and solar panel installations. New provisions: No monthly caps, planning permission required with application. - Announcement May 25. Applications open May 30. - LCBP launched April, 2006. Great (and we do mean GREAT) Britain. - $13.5 million allocated, $11.9 million additional budgeted. - Now $23.6 million more. - LCBP has funded 2,175 home installations: 242 mini-turbines, 313 Solar PV projects and 1,467 solar thermal heating systems. - New provisions designed to eliminate implementation issues which have plagued half the $13.5 million in grants allocated. Fantastic opportunity to observe how this process works! The Czech Republic will sue the EU for setting its CO2 emission allowances below its request. - Decision and announcement May 25. - Contention is over 2008-2012 CO2 caps. - The EU’s Commission set the Czech Republic’s annual CO2 emissions cap at 86.6 million metric tons, 14.8% lower than the 102 million requested. - Czech argument: The EU underestimated growth, wrongly added in household and transportation emissions. - The Czech government argues this will harm economic growth. A benchmark or lack thereof. Iraqi negotiators: Ashti Hawrami, energy minister, Kurdistan Regional Government (KRG); Ibrahim Bahr al-Ulum, former and potential future oil minister. Negotiations over the laws governing Iraqi oil & gas resource and revenue sharing between interested factions has reached no conclusions. One insider says legislation is two months away. - This report made May 25; negotiations ongoing. There is an “end of May” deadline that is unlikely to be met. - Bahr al-Ulum’s statement was May 30. 3. Unions threated a strike if multinational oil companies have access/ownership but investment from the multinationals may be necessary to revive the industry. 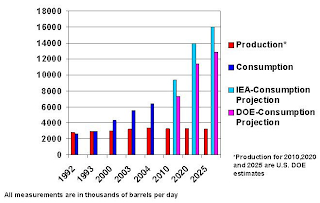 - Production remains at 2 million barrels/day, despite 115 billion barrel reserves and capacity of 6 million barrels/day. Iraq’s 1.6 million barrel/day exports = 93% of Iraqi budget. - US leaders are pressuring the negotiators to make a law; many contend the pressure is toward including the multinationals in the deal. The negotiators expert in oil law want to resist the pressure. - A previously scheduled summit between negotiators and investors in Dubai was cancelled. - Bahr al-Ulum, oil minister September 2003 to June 2004 and May to December 2005, foresees grounds for compromise and resolution. Bahr al-Ulum is affiliated with the Fadhila Party, which is opposed to Prime Minister Nouri al-Maliki's government. He would replace current oil minister Hussein al-Shahristani. - Hawrami: "Nothing to report yet, no progress, we are still in Baghdad…and have lined up more meetings to see if the remaining issue can be resolved." - Bahr al-Ulum: “[The new legislation will reconstitute the Iraq National Oil Company] which can regulate the oil and gas sectors which suffer from lack of coordination between several decision maker and administrative units." 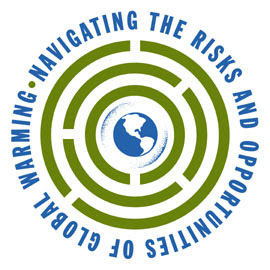 Get involved in winning wind: Power of Wind, an opportunity to take action. And don't forget about WINDPOWER 2007, Los Angles, June 3-6. Nick Rahall, D-W.Va., chairman, House Committee on Natural Resources; Gregory Wetstone, senior director, American Wind Energy Association (AWEA); Rep. George Miller, D-Calif., Peter DeFazio, D-Ore. & Rep. Jim Costa, D-Calif.; Henri Bissan, Bureau of Land Management (BLM); Melissa Simpson, U.S. Forest Service/Department of Agriculture; Vickie VanZandt, Department of Energy; Timothy Keeney, National Oceanic and Atmospheric Administration (NOAA). Rahall’s act introduced May 23. The bill is under review. Mark up will begin after Memorial Day. Rahall’s act introduced to House Committee on Natural Resources. - Rahall introduced the Energy Policy Reform and Revitalization Act: Enforced by the Departments of Interior and Energy, strict regulations with fines/jail time for new and existing non-compliant turbine owners. Rahall’s act has met serious opposition from wind energy experts and advocates. Many believe it is an example of legislation written without an understanding of wind energy technology. - Rahall seeks to protect federal land use but committee members seek to do so without impeding energy development. Witnesses told the committee the bill has redundant language and changes programs under way. 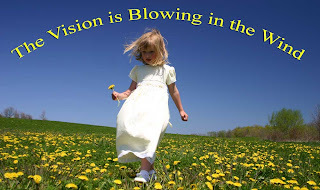 Biofuel, hydro and wind may all be slowed. 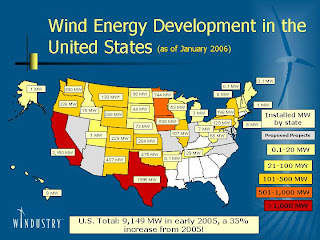 - Wetstone: "Wind power is an essential element of the climate change solution…Further increasing the percentage of electricity wind produces in America will provide much-needed price stability, generate tens of millions of dollars in revenue for farmers and rural communities, and create tens of thousands of jobs…We should be looking for ways to accelerate wind energy's growth rather than putting roadblocks in its path." - Rahall: "I'm not against wind energy…But as it grows, and there's no denying that it is growing, there's increasing resistance due to lack of regulations and the adverse effect on wildlife, reported by the Government Accountability Office and the National Research Council…The Endangered Species Act and the Migratory Bird Treaty Act are not being fully complied with and the legislation seeks to enable the wind energy industry to grow in a way that's compatible with those federal laws." - Wetstone: "Wind energy requires no mining or drilling for fuel, no fuel transportation, no hazardous waste disposal, and no water use; and wind energy generates electricity without toxic pollutants like mercury, without greenhouse pollution, and of course without the conventional pollutants that cause smog and acid rain…Is this really an energy sector Congress should close down, for environmental reasons?" - Miller: "We have a lot of input but what we really want is a good fuel that makes economical and environmental sense and we ought to let people go to work and figure out how to come up with that product…"
- Bissan: "I don't see why the process, which is working, should be changed…"
MR. SPOCK OVER CAPTAIN KIRK? Mr. Spock was half-human and you could always tell he was struggling to control his feelings in order to save the Enterprise. He was never motivated by personal gain. David Brooks (Captain Kirk?) 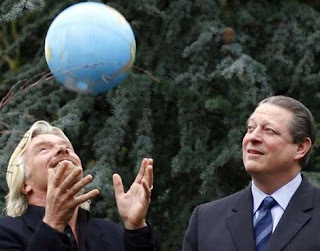 Vs. Al Gore (Mr. Spock?) – Score One For Gore! Brooks wrote an op-ed piece which author Barber claims is a model for how Republicans will attack Gore if he runs for and wins the Democratic nomination for President. The Brooks piece appeared May 22. It was about Gore’s theoretical 2008 presidential candidacy. The Brooks piece was in the NY Times. 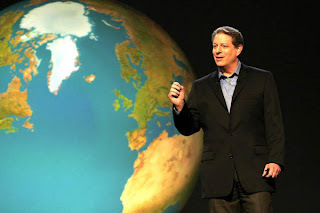 - Gore’s Oscar-winning film about climate change, “An Inconvenient Truth,” and his passionate environmental advocacy has engenedered new popularity. - Brooks calls Gore a "Vulcan Utopian" and an unemotional "Mr. Spock" in contrast to President Bush’s Captain Kirk. Prove CCS works safely, save the world! 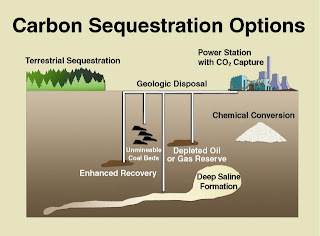 MGSC will conduct a “huff-and-puff” field test of Enhanced Oil Recovery (EOR) and geologic carbon dioxide sequestration by injecting CO2 into a producing oil well, letting it sit for 3-5 days, restarting well production and measuring changes in flow. - The rural, flat agricultural site, an existing oil field for over 65 years, was chosen from 38 sites in June 2005. Loudon Field, Fayette County, Ill.
- Geologic sequestration of CO2 is one of the most promising ideas to curtail greenhouse gas (GHG) emissions. 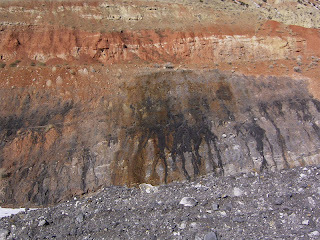 Deep underground porous rock capped by impermeable rock can trap the GHGs. - EOR can also boost oil production if injection increases well pressure or reduces oil viscosity and increases flow. - A previous 45 ton CO2 injection increased production fourfold but petered out. This test will also measure the geologic sequestration retention. When does a loophole become a boondoggle? 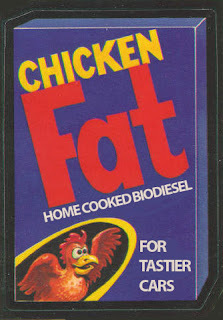 TheIRS ruled that a $1-a-gallon “renewable diesel” tax break applies to animal fat additives. Congress wants to repeal this section of the bill. The IRS ruling is based on a provision of the Energy Policy Act of 2005. The tax break is federal. The fight is in Washington, D.C.
- The provision was intended to support a process turning turkey offal into biofuel. A broader interpretation is being used for animal fat additives to petroleum. This could cost hundreds of millions in revenues as well as suppress small biodiesel producers. - Tyson Foods supplies animal fats to Conoco for 175 million gallons of renewable diesel, therefore is eligible for the tax break. - The tax break has inadvertently driven up the cost of animal fat, as oil companies seek it out as an additive to claim the incentive. This has driven up the cost of soap. Opportunity is growing as fast as our need for energy. Citigroup Inc., Bank of America, Yale Environment School, Ella Baker Center for Human Rights (Van Jones, president), the Apollo Alliance (President Jerome Ringo), the Strategic Concepts in Organizing and Policy Education (SCOPE) (Elsa Barboza, campaign coordinator), the Joint Global Change Research Institute (Jae Edmonds, chief scientist), Rep. Hilda Solis, D-Calif., Rep. Jim Sensenbrenner, R-Wis.
Citigroup’s commitment was made in May. B of A’s was in March. Both were 10-yeasr commitments. Training will be necessary, experts agree. An example is jobs in wind: wind turbine and tower manufacturers, wind farm maintenance workers. 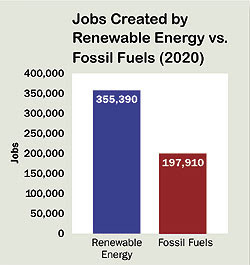 The Apollo Alliance (a non-profit advocate for clean-energy job training) proposes $300 billion in federal funds to cities, over 10 years, to create 3 million jobs in building efficiency, renewable energy, investments, biofuels, etc., for low-income workers who have been hit disproportionately hard by global warming (example: Hurricane Katrina) and are likely to continue to be. SCOPE proposes $100 million in LA for 2000 jobs energy-retrofitting (upgrading/replacing insulation, lights, heating and cooling systems, windows, etc. )100 city buildings. Dan Esty, co-author, "Green to Gold…” & director, Yales’ Center for Business and Environment: "There's a huge demand for people trained for environmental skills…We had a record number of applicants to our program (this year) and our graduates have many more job opportunities…"
Jones: "We believe the green, clean-energy economy can do more than create business opportunities for the rich…We also believe that the green economy can create job opportunities for the poor…The most important thing that the federal government can do right now on the job side is to make money available to cities to figure out their own strategies…"
Barboza: "Greening existing infrastructure such as buildings is a great way to preserve and make more sustainable older urban communities that have been neglected…Projects that pay a fair wage can also benefit the local community, particularly low-income urban workers." Edmonds: “(Energy) technologies grow and are deployed in the context of an economy…Jobs are part of the production processes and therefore part of the deployment of those technologies." Solis: “[Funding training will] create pathways out of poverty…Businesses are already doing this and the biggest complaint is that there isn't a trained workforce…That's what our job should be -- to boost that." Sensenbrenner: "I believe the free market forces of the private sector offer the best road to job creation…I think relying on the government to create jobs is a dead end…Is installing a solar panel fundamentally different than installing a satellite dish? I have serious questions about what type of training will really be needed for so-called 'green collar' jobs." CA ENERGY: ACCESS OR MANIPULATION? This is definitely an area where California is a trendsetter. So what's coming, CA? The California Public Utilities Commission (PUC), President Michael Peevey; Timothy Simon, PUC commissioner; consumer advocate group The Utility Reform Network; top Democratic lawmakers Senate President Pro Tem Don Perata, D-Oakland, Assembly Speaker Fabian Nunez, D-Los Angeles, Sen. Christine Kehoe, D-San Diego, and Assemblyman Lloyd Levine, D-Sherman Oaks. The PUC moved to explore the possibility of re-instituting “direct access,” a program allowing large commercial power buyers (hospitals, universities, businesses) to purchase electricity from alternate providers. This is considered a step toward deregulation of energy and a possible vulnerability to crisis like the 200/2001 shortages and price spikes. - Vote to consider “direct access” was May 24. - Consideration will last a minimum of 18 months. 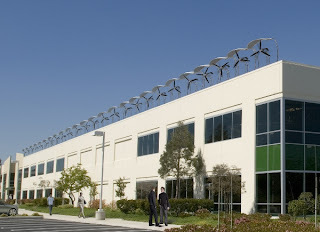 - Pro: California State University, Wal-Mart Stores Inc. & the Alliance for Retail Energy Markets. Argument: Retail energy competition allows shopping for lower rates, prices have stabilized. - Anti: The Utility Reform Network, Democratic legislators. Argument: Deregulation makes possible market manipulation, soaring utility prices and rolling blackouts as occurred in 2000/2001 and the legislative response to that crisis precludes deregulation until 2017. - The PUC’s action has 3 phases. 1. determine legal authority. 2. decide if it should. 3. when to roll it out. - Peevey: "Consumers have choices for most of the purchases they make, and we will evaluate whether and how that may include electricity…Retail competition may exert further downward pressure on rates." 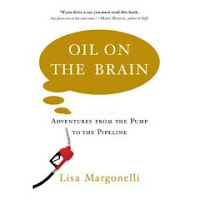 - Simon: "Introducing competition has not always brought about lower rates for customers…"
- Perata, Nunez, Kehoe, Levine: "The prohibitions enacted are not ambiguous.."
Or we could just wait 'til the oil runs out and wing it. Frank G. Zarb was US “energy czar,” served in the Nixon, Ford, Reagan, Bush, and Clinton administrations and headed the Nasdaq, among many other distinguished positions. Aside from not being able to hold a job for very long, he seems more than qualified to express an opinion. The U.S. failure to accommodate reality by its ongoing dependence on foreign oil and how that can be addressed. 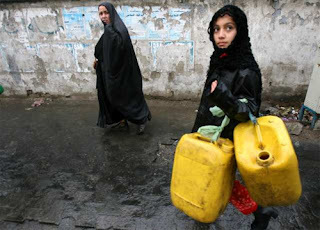 In this op-ed piece, Mr. Zarb contends the U.S. has failed to move away from dependence on foreign oil for 30 years despite its ability to eliminate this vulnerability, an historical anomaly as well as a political mistake. Mr. Zarb lays the failure to make this change at the feet of U.S. political leadership. - Four “facts”: No. 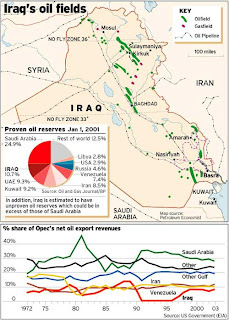 1: US vulnerability to interrupted oil supply; No. 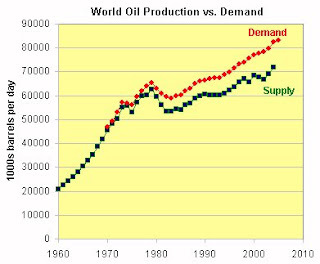 2: Foreign, military and economic policy dependence on oil; No. 3: Failure to act after the 1973 Arab oil embargo, when imports were 35% of consumption; No. 4: Lack of response is a lack of political will. - Presidents Nixon, Ford, Carter, Reagan, Bush, Clinton and Bush may all be implicated. “The basic elements of a responsible energy policy are not complicated, but the politics are horrendous. Still, we can't continue to throw empty rhetoric at the issue, using the oil companies as political punching bags and relying on our troops to keep the oil flowing. This bizarre idea of using nuclear energy to get oil out of the Canadian tar sands surfaces again. Or is this just a way for Alberta to get its own nuclear industry subsidized by the oil industry? 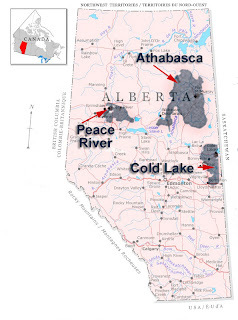 Royal Dutch Shell PLC subsidiary Sure Northern Energy Ltd.; Energy Alberta Corp., Wayne Henuset, president; Atomic Energy of Canada Ltd.; Regional Issues Working Group, Jacob Irving, executive director. Sure North, holder of the most expensive oil sands lease ever, is reportedly considering using nuclear energy to generate the electricity necessary to develop oil out of the bitumen deposits. - Sure North took the lease last year. - Rumors about the use of nuclear energy electricity for oil development were unconfirmed on May 22. - Last week, an Energy Alberta open house won acceptance for the nuclear plan from all but 3 of 300 attendees. - Development of the Sure North lease is not expected until after 2010. - The leasehold is 100 kilometers northwest of Fort McMurray in Alberta. - The highly approving open house was in Whitecourt in central Alberta, where the nuclear reactor may be located. It may also be located in Peace River, an Alberta town closer to the oil fields. - Rumors about the use of nuclear energy electricity came out of talks confirmed by Energy Alberta with the other companies. - Husky Energy confirms interest in partnering with Royal Dutch on the development of nuclear energy electricity to work the tar sands oil. - Natural gas is the primary energy used in working the hard to get oil out of the tar sands. Steam and electricity from natural gas plants drive the process at Syncrude Canada and Suncor Energy. But natural gas supplies may be dwindling. - Energy Alberta claims nuclear would be cheaper and would cut back greenhouse gas (GHG) emissions. 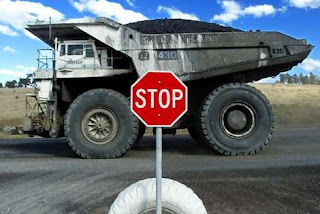 - Development of the tar sands will require a lot of electricity. The Malaysian PM wants his country to follow Japan’s lead in developing renewable energy sources such as solar energy. Statements made following a 5-day visit to Japan. - Abdullah sees monetary savings in using solar energy to run street lighting, as Japan does. He is anxious to develop technological cooperation with Japan and was promised cooperation by Japan’s P.M.
- The P.M. was impressed in Japan by solar energy’s accessibility and affordability. - The two P.M.s agreed on the threat of global warming, affirmed Japan’s goal to bring down temperatures by 2050 and promised mutual cooperation. - The P.M. will also take up the matter of a safety bar on lorries to prevent accidents involving bicycles and pedestrians. Abdullah: "This can be overcome by forging cooperation in research and development (R&D) with Japan, a country known for having numerous techniques to exploit solar energy…It's not as expensive as before. Some middle-class households are using solar power but not for the entire house…[Abe] said Japan is ready to work with other countries so that together they can focus on global warming. I told him that as an industrial powerhouse, Japan would surely have the means to carry out its plans…"
Deeds are the finest memorial: Stand up for wind at The Power of Wind. Cities (zoning boards and neighborhood associations) and green-minded homeowners with backyard windmills. Growing interest in backyard turbines is creating conflicts over zoning and use permits. - Complaints against home turbines: unsightliness, possible flying blades, falling or crashing poles, noise. - Backyard windmills, can start at $12,000 and cut utility bills 10 to 50%. They are an $18 million-a-year US industry and could triple with permiting difficulties resolved. Variances, by definition, create further inequities. - Roy Butler, owner, Four Winds Renewable Energy: "Planning and zoning are the single biggest obstacle to wind energy in the United States…"
- Gary Lisle, Dallas applicant for a backyard wind turbine: "The fact is, we're dealing with ignorance…"
- Melissa, Texas, Mayor David Dorman: "If a developer came in tomorrow and said we have an idea for a green subdivision, I'd be all for it…"
- Michael Bennett, general manager of the Bear Valley Springs homeowner association: "The No. 1 concern has been visual blight," Bennett said, "and No. 2, the noise level." - Rhode Island Renewable Energy owner Dave Anderson: "There's a lot of people who don't want to go through the hassle of fighting town hall…They say, 'We're not going to fight that fight.'" The National Development and Reform Commission announced it will remove preferential policies for disproportionately large energy-consuming industries. - Announcement made May 27. - Energy consumption fell 1.23 percent in 2006, less than 1/3 of 4% goal. Announcement came from Beijing, applying to China nationwide. 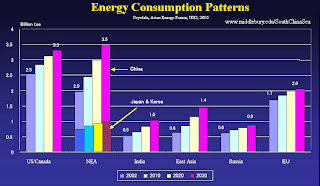 - The announcement is seen as one among many steps China is taking to get skyrocketing energy consumption under control. - Primary targets: power, steel, oil refinery, chemicals, construction materials and metals industries, 70% of industrial energy. - Preferential programs scrutinized: tax holidays, cheap use of government land. The Indian government has initiated an Energy Conservation Building Code which prescribes non-residential building energy efficiency design and construction standards. Projects are undertaken and planned. - Standards, applicable to buildings consuming over 500 kilowatts, presently voluntary but will become mandatory; expected to reduce energy consumption 25-40% (1.7 billion units of power) and save Rs 80,000 crore. - Specifications for: lighting systems, building envelopes, optimisation of lighting, heating, ventilation, air-conditioning; requirements for insulation, compact fluorescent lightbulbs (CFLs), etc. ; ITT studies may optimize accommodation to climate and sun path. - Indian government ministries will facilitate availability of efficiency materials and equipment, monitor implementation and audit. The CCS project halted was in Scotland. - CCS technology, still unproven but much talked about as a solution to greenhouse gas (GHG) emissions, captures the CO2 emitted by generating electricity through the burning of fossil fuel and stores it. If proven to be widely practical, it might alleviate the harm done by coal and natural gas electricity generation in big economies like the US, China and India. - BP expended $50 million (25 million pounds) on preparations by 70 staff members over 18 months. The plan was to burn British and Norwegian North Sea natural gas and pump the CO2 back into North Sea oil wells to pump out more oil. Nicholas: "That's an extension too far…Of course we're disappointed, it was a good opportunity but just one we couldn't bring to pass…We appreciate the breadth of issues the government has to face, it's difficult to put a time frame on it. We'll continue to work with the government and may even participate on someone else's project." More on liquified natural gas. Gov. Schwarzenegger included remarks affirming the value of Liquified Nautral Gas (LNG) as an energy source in his rejection of a proposed Cabrillo Point LNG terminal project. - Project rejected the week of May 18. - The proposed Cabrillo Point LNG facility was too near the Channel Islands National Marine Sanctuary. It is considered significant that Schwarzenegger’s explanation to federal authorities about rejecting the LNG terminal project on environmental grounds contained no objections to liquified natural gas as a fossil fuel and greenhouse gas (GHG)-producing contributor to global warming. It is particularly significant because the Governor has not in previous battles been reluctant to refer to climate change. - Schwarzenegger’s grounds for rejecting the Cabrillo Point site: 1. potential threat to nearby Channel Islands National Marine Sanctuary waters; 2. air-polluting emissions from terminal regasification equipment and the LNG-carrying tankers. - NIMBY objections to terminals raised questions about them as targets of terrorist attacks or dnagerous accident sites but LNG has been seen as a preferable power plant fuel to coal, readily delivered from Asia as well as abundant and relatively cheap. - Environmentalists have declared that LNG production/processing/transport negates the lower emissions from burning natural gas. - Schwarzenegger: "Liquefied natural gas can and must be an important addition to California's energy portfolio…The Cabrillo Port LNG project as proposed would result in significant and unmitigated impacts to California's air quality…Any LNG import facility must meet the strict environmental standards California demands." - Cox: "The dialogue has shifted in a huge way…This is no longer only about the safety factor. Nor can it be said to be 'just a NIMBY' issue. Rather, our critique of LNG -- that it's a setback to clean energy, that it's an unnecessary boondoggle, and that it will contribute to global warming -- has hit the mainstream." - Californians for Clean, Affordable Energy: "While we support energy conservation and efficiency and the development of renewable energy sources, California still needs additional supplies of clean-burning natural gas…By taking advantage of a large global supply of LNG, California can avoid gyrating prices and give businesses and consumers a more stable energy market…"
More on compressed natural gas. 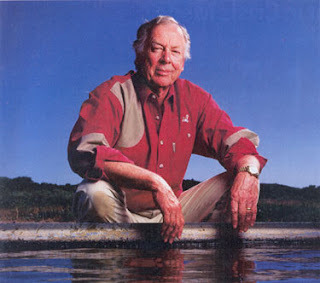 Oil and energy billionaire and powerbroker T. Boone Pickens, co-founder, Clean Energy Fuels Corp.
- The IPO was scheduled for May 25. Clean Energy Fuels Corp., based in Sea Branch, Calif., has natural gas stations in California, Colorado, New Mexico, New York, Texas, Washington, Wyoming, British Columbia and Ontario, and a liquid natural gas (LNG ) facility in Willis, Texas. - Clean Energy Fuels Corp. sells natural gas fuel to Los Angeles International Airport, Phoenix Sky Harbor International Airport, SuperShuttle, Foothill Transit, Waste Management, Dallas-Ft. Worth International Airport, Sysco Foods, Denver International Airport and the US Navy. - May 25 Update: Share price dropped to $12 and shares offered cut to 10 million. - 1st Q, 2007: $861,000 loss, $28 million revenue; 1st Q, 2006: $3 million loss, $21 million revenue. - Pickens’ hedge fund, BP Capital, earned $1.8 billion in 2006 betting on a decline in natural gas prices. His Exco Resources (oil and natural gas company) went public at $13/share in Feb., 2006, now at $18.40/share. - Business Week: “…Clean Energy faces plenty of obstacles, which may have dragged on the offering. According to James DeStefano, an analyst at IPO research shop, Renaissance Capital LLC, natural gas lags far behind ethanol in gaining the American public’s attention. While corn-based ethanol has plenty of critics for being inconvenient and inefficient, it has a much larger U.S. footprint. 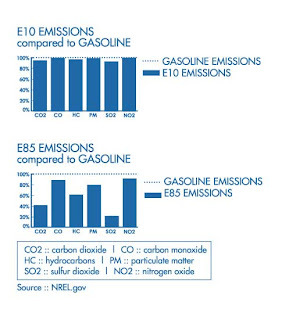 Major car makers like General Motors produce cars that can run on a fuel mixture of 85% ethanol. More importantly, ethanol is a common additive in much of the U.S. fuel supply; drivers are frequently ethanol customers whether they know it or not...By contrast, DeStefano says there are fewer than 150,000 natural gas powered vehicles in the country. “This is more of a show-me type story,” he says. “You’ve got to get the automakers in.” And that will be difficult with so few places where natural gas powered vehicles can fill up. And he says the company does not yet have the reach to move to international markets where natural gas is more popular. Looking for something new? Check out black liquor gasification, below. Urging greater world-wide efforts to develop new and better biofuels and vehicle renewable energies. - 1st generation fuels were agricultural crops like grains, corn, palm oil, and sugar cane; 2nd generation biofuels are/will include paper, pulp and wood. - Innovation: black liquor gasification. 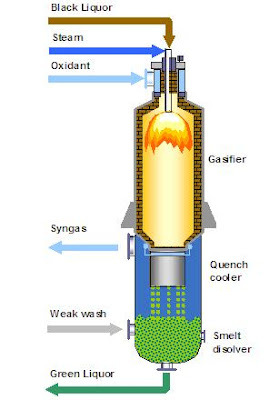 A fuel gas is produced from waste left by paper pulp purification. Higher efficiency but technical problems and startup costs remain. - EU goal: 10% of vehicle fuels to be biofuels by 2020. - Topics: the advantages and urgency of a new generation of automotive biofuels, especially w/developing countries increasing energy consumption. Leohold: "We're facing a global problem, not a local problem…With the issues of climate change, Europe can't solve the problem alone." Henke: "If we stayed with that (first generation biofuels), we would be forced to reduce our energy consumption to a level that would be even below the one we have today…"
Maybe this is an example of why greenwashing is not so bad. GE Energy Financial and Wachovia will go 50/50 on 2 Texas windfarms totaling 241 megawatts of output. - Construction of Sweetwater 4 began August, 2006, and will complete May, 2007. - Construction of Sweetwater 5 began February, 2007, and will complete December, 2007. - The 2 windfarms represent 241 megawatts of wind energy, moving Texas toward its target of 5,880 megawatts of renewable energy by 2015. - Sweetwater 5: 35 Siemens turbines, 80-megawatts sold at market prices. - GE Energy Financial has or takes part in 29 wind farms. - Walsh: "This investment - along with a transaction we announced today in Roscoe, TX -- brings the total capacity our global wind equity holdings to more than 1,900 megawatts, and further diversifies our wind technology…in the spirit of GE's ecomagination initiative, these two wind farms will produce enough power for more than 90,000 homes and avoid 730,000 tons a year in greenhouse gas emissions, compared to equivalent fossil fuel generation." - Armisted: "It is exciting to see the growth of this project…The addition of phases 4 and 5 brings the total capacity of the Sweetwater project to 585 MW and makes it one of the largest wind farms in the world." UK-SHEC scientists have developed a “chemisorption” process to make Hydrogen (H) vehicle fuel practically storable in quantities capable of providing a 300-mile trip, the commercially feasible minimum acceptable trip distance. - Storing a 300-mile range of H fuel at standard temperature and pressure would require a container the size of a bus while pressurizing or liquefying it would add too much weight. 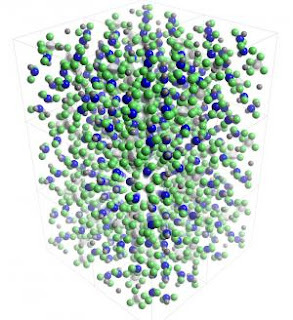 - Chemisorption: H gas atoms absorb into the crystal structure of L (after testing 1000s of soldi state substances). Lithium Hydride (Li4BN3H10) powder stores H at higher density but acceptable weight and volume. H is released as needed to the vehicle’s fuel cell. - H fuel is a utopian dream because it creates energy without greenhouse gas (GHG) emission byproducts. 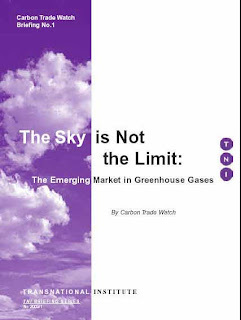 A 2004 report ('A Strategic Framework for Hydrogen Energy', published by Etech, Element Energy and Eoin Lees Energy) found Kyoto Protocol limits on CO2 could be met by H vehicles and no other changes. -Edwards: "This could be a major step towards the breakthrough that the fuel cell industry and the transport sector have waited for…. "It's due to SUPERGEN's vision of combining many of the leading groups in the UK to tackle this, arguably the biggest challenge for the development of hydrogen fuel cell vehicles. This work could make a key contribution to helping fuel cell cars become viable for mass-manufacture within around 10 years." The Swiss Federal Environment Office, the Federal Energy Office and the Federal Agriculture Office. A study (Rainer Zah, co-author) commissioned by the Swiss governmental agencies reports that though biofuels reduce emissions of greenhouse gases (GHGs), they produce other potentially harmful forms of air pollution when burned as fuel. The report was released May 22. The study was done by scientists in Switzerland. - The study also cites greater environmental damage to air and soil from increased fertilizer use resulting from higher demand for biofuel-producing crops, as well as slash-and-burn land-clearing for planting, which also generates GHGs..
- The study did cite ways to make biofuel production less environmentally damaging, an option not available with fossil fuels. Zah: "The energetic efficiency and the resulting reduced emissions of greenhouse gases cannot be the sole criteria for assessing the environmental friendliness of biofuels…The prefix 'bio' doesn't necessarily mean environment friendly." NOT coals to Newcastle. Making New Energy where the sun shines. Electron Solar Energy, Christopher P. Quinn, CEO; Tibo Company LLC, Thomas George, President and Chief Electrical Engineer. - Tibo will handle Elecron’s solar energy systems in Dubai and throughout the United Arab Emirates (UAE). - The deal is done and the solar energy systems are ready for market, especially the energy-hungry Dubai market. - Tibo was established in 1969. 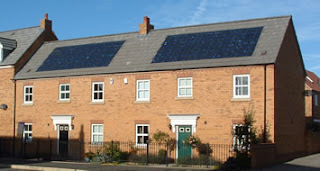 - The deal is on solar energy systems to be sold in Dubai and throughout the UAE. - Tibo Company LLC is Dubai-based. - Tibo currently handles Electron batteries. 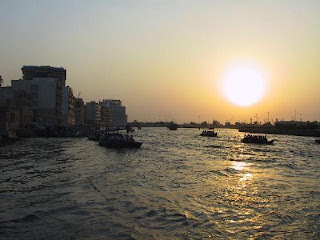 - Dubai’s energy consumption went up 30% in 2006, in association with enormous growth and construction. The city is becoming a Middle East hub. - Quinn: "Cash-rich oil nations are investing heavily into the Region; developing and building out the infrastructure in addition to creating the world's most luxurious tourist attractions. Dubai is currently the fastest growing city on Earth. This construction boom is progressing at an unprecedented level of luxury and technological advancement. With that type of forward thinking in place, Dubai will be a hotspot for green building technology and alternative energy products for years to come." - George: "The UAE represents a very attractive market for solar energy systems. 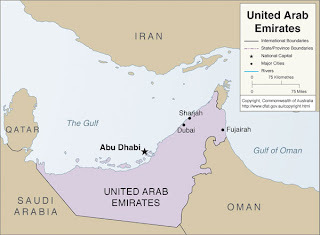 Since the UAE lies on the earth's Sunbelt, its angle of Insolation is one of the highest in the world. 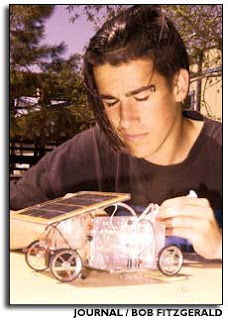 Electron presented the ideal opportunity for Tibo to enter the solar energy market. I am considering setting up a grid-tie solar panel system in my new villa in Dubai to showcase Electron's Solar Energy systems to potential customers. Clients will see that installation as a testament to how much I believe in Electron's systems, products, and Future sales potential for our two companies together." THE DEBATE OF OUR TIME: TAX OR TRADE? This is what you have been reading about at NewEnergyNews for some time now: Is it tax or trade? Scroll down or check headlines to the right for more information. One way or another, we’ve GOT to start paying for emissions. And when we do, the energy game changes completely. James Kvaal, policy director for Democratic presidential candidate former Sen. John Edwards, D-N.C.; Stefan Moser, policy officer, European Commission; Gregg Easterbrook,visiting fellow, Brookings Institution; Denis McDonough, policy adviser, Democratic presidential contender Sen. Barack Obama, D-Ill. The burning of fossil fuels produces greenhouse gas (GHG) emissions which are producing global climate change. 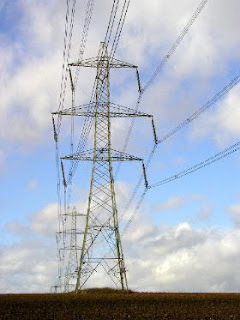 These forms of energy are cheap because the harm produced by the GHGs is not part of the cost. A price for carbon dioxide emissions must be imposed. Only one question remains: Carbon tax or Cap-and-trade? The EU trading scheme was implemented in 2005. The second phase begins next year. A third phase, with more corrections, will start in 2012. The U.S. decision probably won’t come until after the 2008 presidential election. Poland is taking an active role in developing the EU’s phase two and may act as bank. - Economists tend to support a tax, though that leaves a debate about how much and how the tax revenues would be distributed. Politicians, always reluctant to impose new taxes, tend to prefer a free market driven cap-and-trade system. Business and industry are unified on only one thing: They need certainty to move forward. - The EU has had a cap-and-trade system and has had problems with price fluctuations, manipulation, fraud and enforcement. The second phase will make corrections. A carbon credit “central bank” remains uncertain, though Poland make take that role. - Many have faith in a freemarket system based on past successes. Previous US cap-and-trade programs involving sulfur and acid-rain regulations have been very successful faster and cheaper than predicted. - Kvaal: "A tax is a tool that might help meet a goal, but a cap and trade system sets the goal…"
- McDonough: "More ink is being spilled in U.S. papers about how the EU failed and the United States will, too…"